This Saturday 5th March marks the 38th Sydney Gay and Lesbian Mardi Gras, where over 200,000 people will once again be lining the streets of Sydney’s traditional Gay and Lesbian district in support of 10,000+ fabulous entrants. As in previous years, there’ll be copious amounts of pomp, glitter, sass and of course, pride on display. With the parade coming up, we thought it’s timely to jump on the time machine to remember just what Mardi Gras was all about. Here’re six things that you may not know. The term “Mardi Gras” actually originated from French, meaning “Fat Tuesday”. This is actually related to the practice of “Lent” where Christians observe a period of fasting and solemn observance before Easter Sunday. Lent begins on “Ash Wednesday”, so Tuesday is the last day to basically scoff yourself eating richer, fatty foods before the ritual fasting begins (as well as indulging in a little debauchery). In New Orleans, USA, French settlers started the first organised Mardi Gras carnival in 1837 which has today grown in colossal proportions – known as the wildest fete in the US, with “endless cyclone of feathers, costumes, beads and booze”. Now you know where the term came from! The Mardi Gras is today New South Wales’ second-largest annual event in terms of economic impact, generating over $30m in revenue for the state. That takes into account the flow-on economic effects, for example, restaurant visits, sightseeing locations, etc. 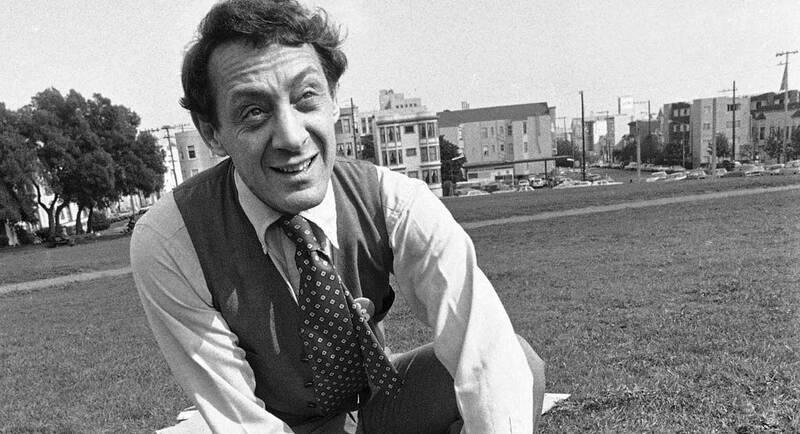 You may have seen the movie featuring Sean Penn, based on the life of Harvey Milk. If so, you may be familiar with “Proposition 6” which was initiated by John Briggs in California. The proposition makes firing of gay teachers and any public school employees to support gay rights mandatory. Milk’s ability to mobilize gays and straights alike resulted in the defeat of this state-wide proposition. Milk was assassinated 11 months after he was elected into political office. At its heart, the first Sydney Mardi Gras in 1978 was born out of solidarity for the “Stonewall Riots” – the starting point of the gay rights movement in New York, and to protest police harassment, anti-gay laws and for a public celebration of love and diversity. Despite having a permit issued for the march, the peaceful movement ended in violence and mass arrests as police moved to disperse the crowd near Kings Cross. The Mardi Gras has continued to be marred by violence throughout the years, and has never been short of confrontations. In 2013, a widely circulated video showed police aggressively arresting a young man. After violence broke out at the very first Mardi Gras, 53 people were arrested by the police. The Sydney Morning Herald published the names of these people, including their names, addresses and occupations, resulting in some losing their jobs and livelihoods. The paper subsequently published details of more protestors (104 more people) who were facing charges for participating in the march. It is only as recent as 24 February 2016 that the Sydney Morning Herald issued an apology to the original founders of Mardi Gras (called the 78ers). Each year the event is held, Fred Nile, an outspoken member of the New South Wales Legislative Council and a former minister of the Uniting Church in Australia, leads a prayer for rain on the event. Following the first Mardi Gras, there was an upsurge of activism led by the 78ers which led to the repeal of the NSW Summary Offences Act in 1979. What is it? It was a piece of legislation that allowed arrests to be made for public assemblies that did not have a permit. This led to the creation of a new Public Assemblies Act which meant that Sydneysiders no longer have to apply for a permit – they simply needed to inform the police. In the fight for gay rights, the movement started from Mardi Gras has also inadvertently accomplished a major civil rights milestone for everyone. So this Mardi Gras, enjoy the parade and parties that people before us have fought hard to win the rights to. Revel in the parade and feast your eyes on the most vibrant and colourful costumes and self-expression. But also go for the confronting theatrical shows. Attend the inspiring, entertaining and provocative talks. Be provoked by eye-opening visual performances and films. Beyond the parade and parties, it’s good to remember that it all has a point. That regardless of gender, culture, religion, race, sexual orientation or age, everybody deserves an equal chance in life.